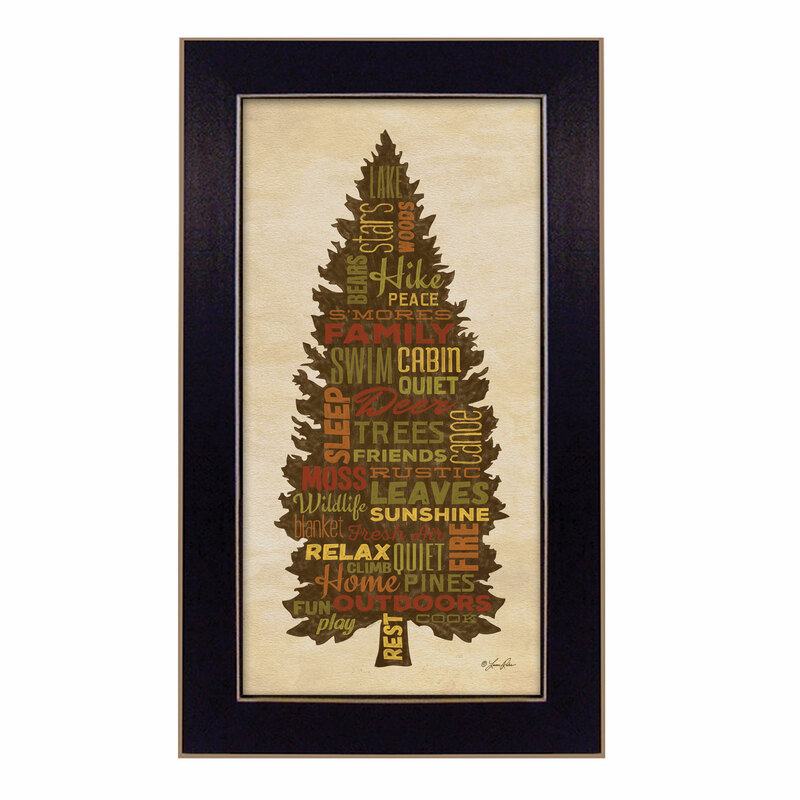 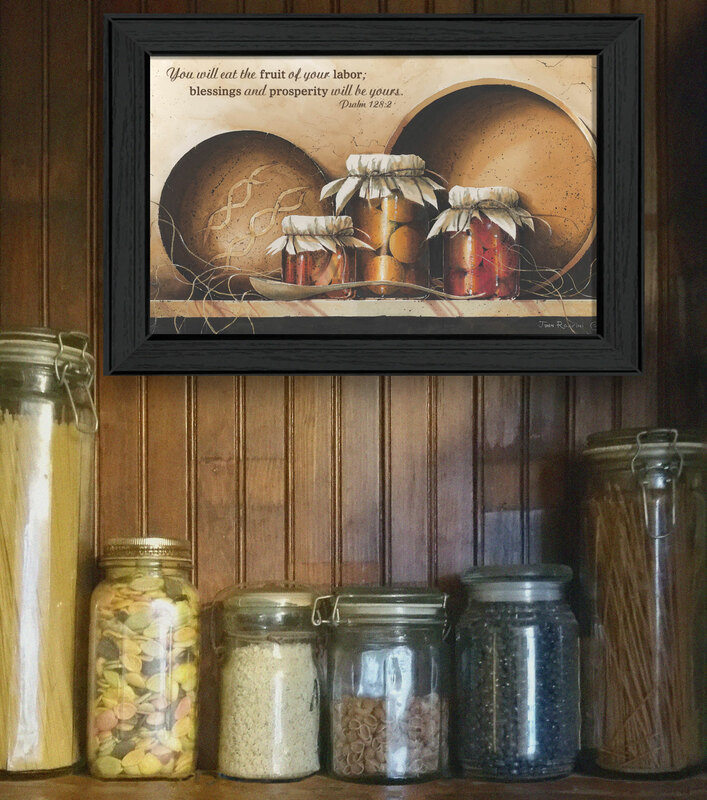 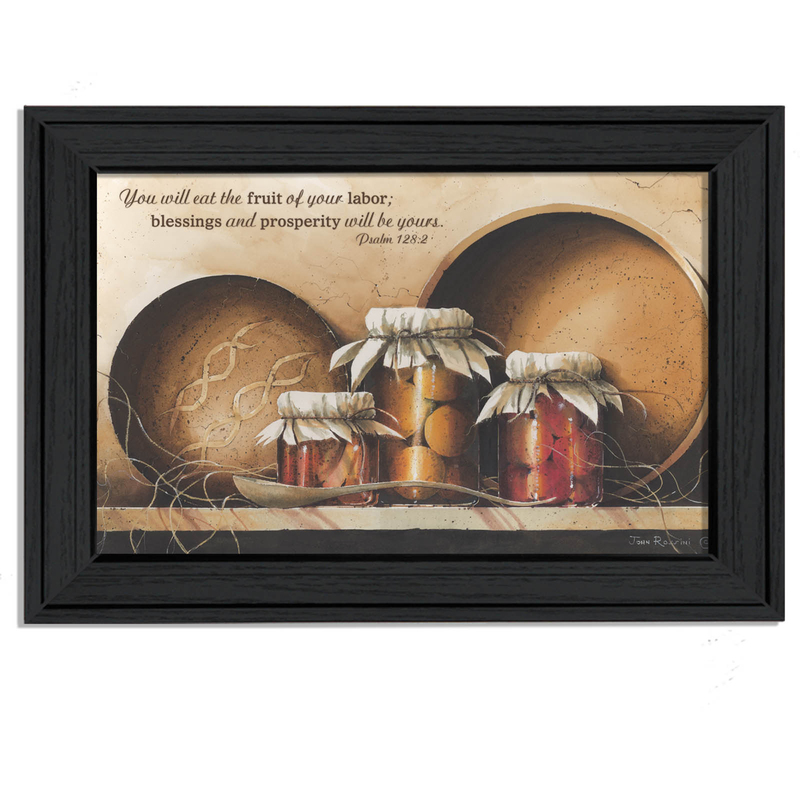 "Blessings & Prosperity" is a 21" x 15" black framed art print. 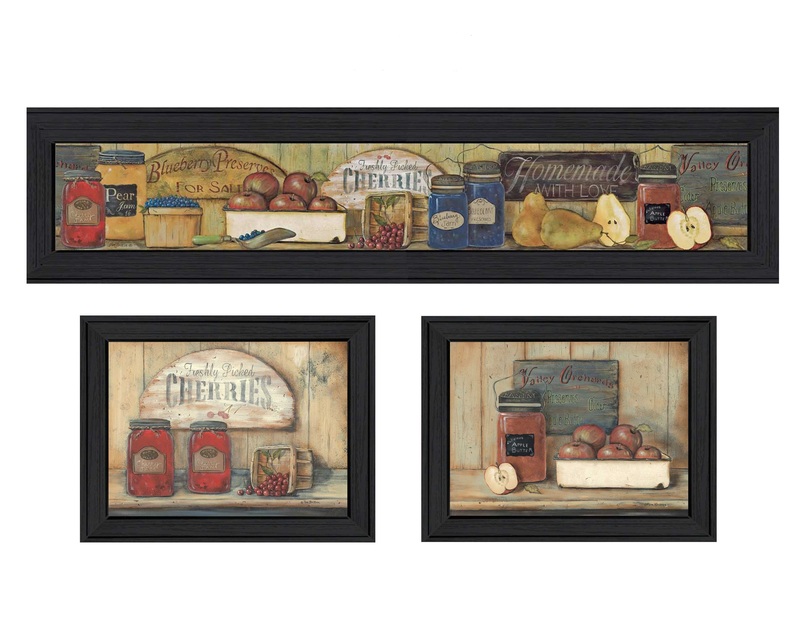 This artwork features jars of fruit, wooden bowls and a spoon on top of a counter with words about the fruit of your labor by artist John Rossini. 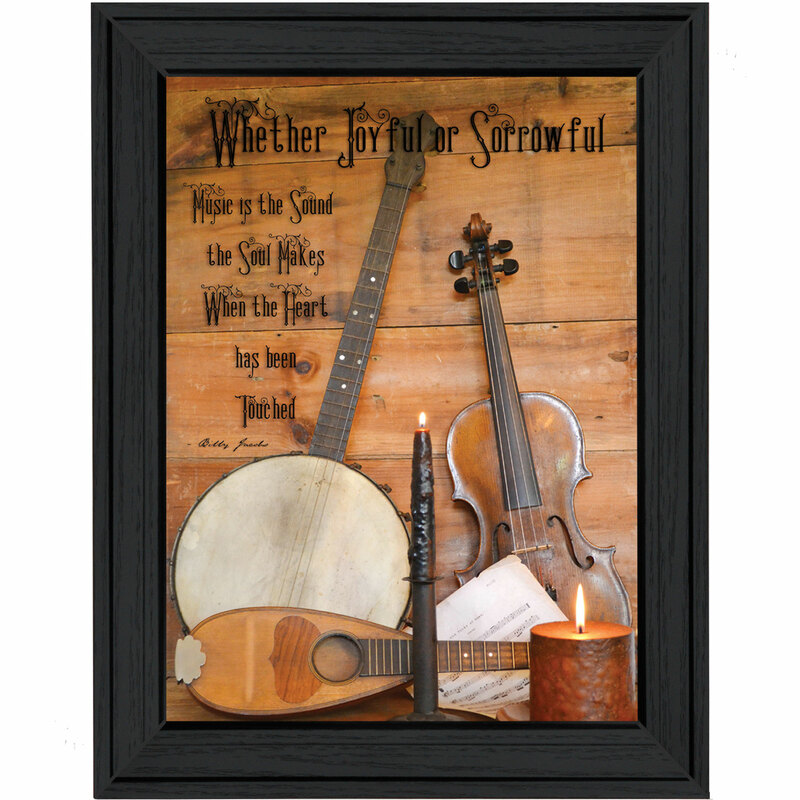 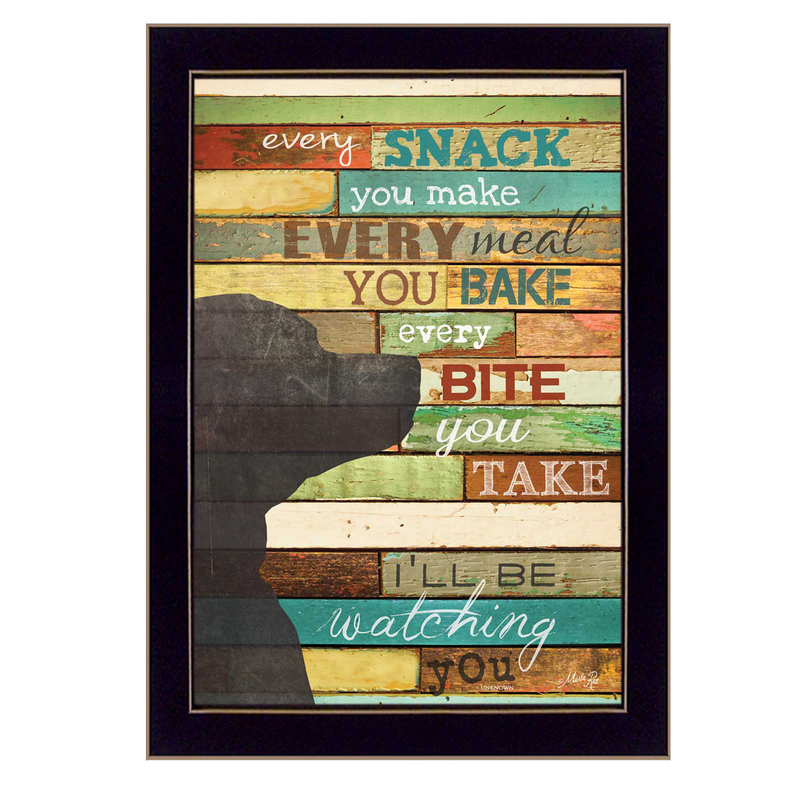 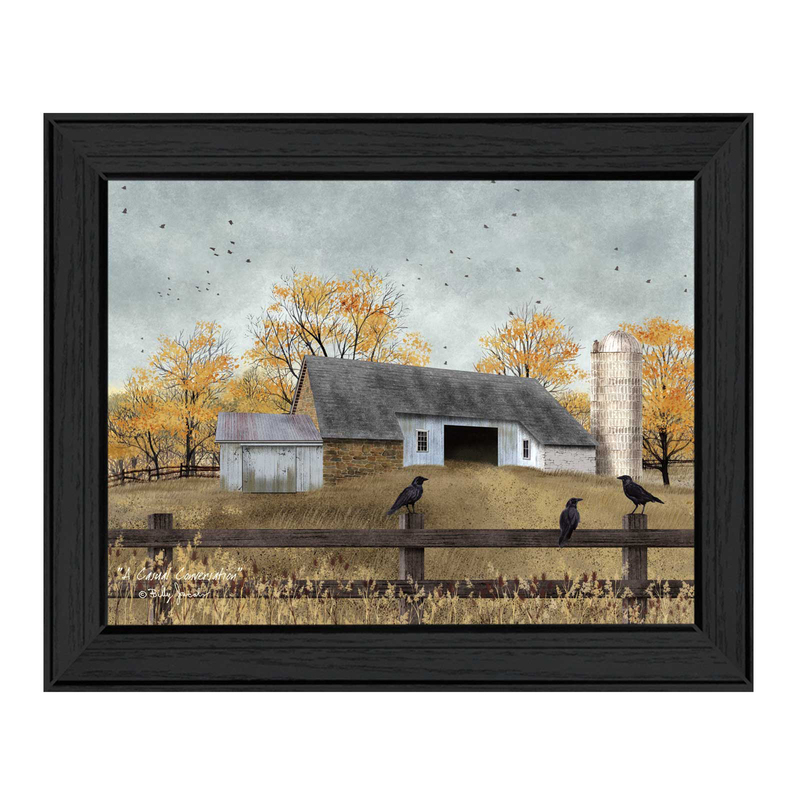 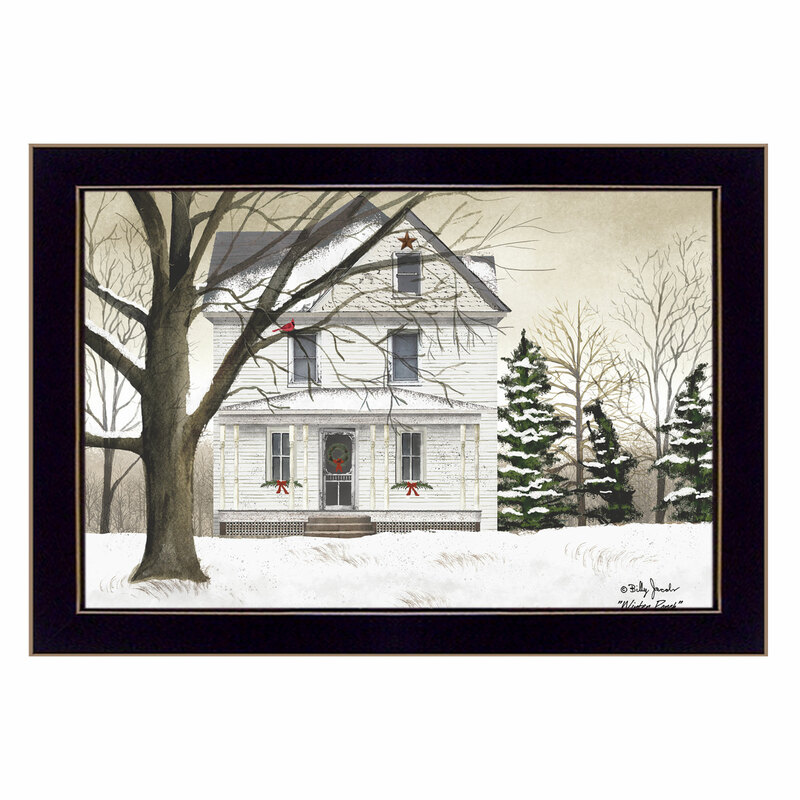 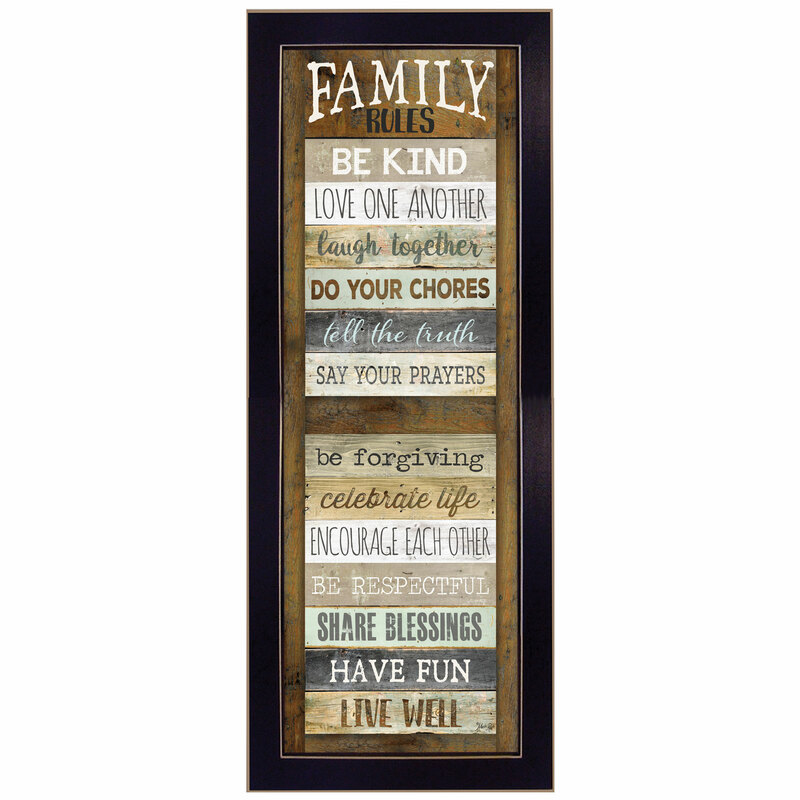 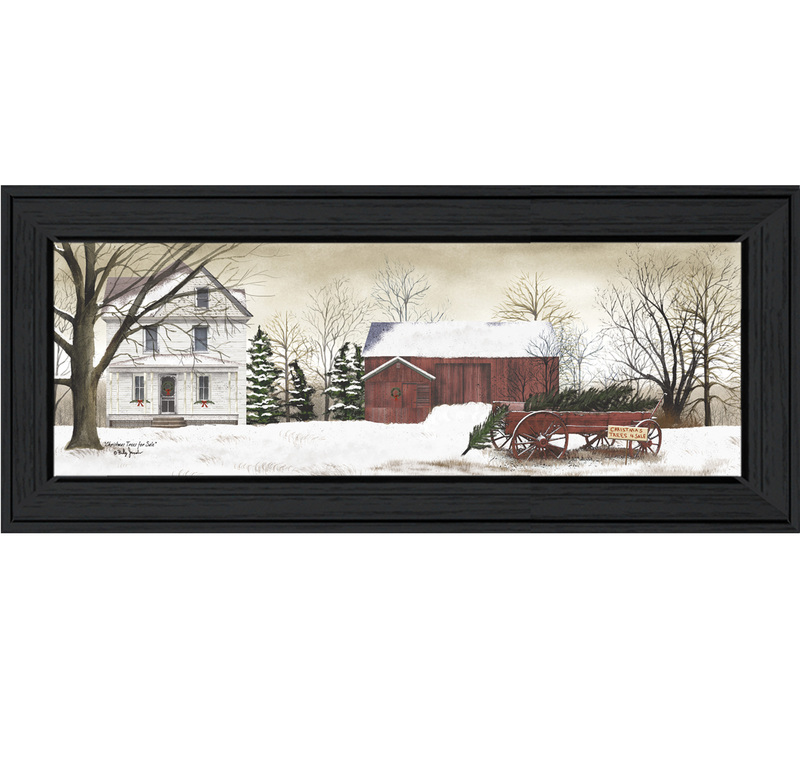 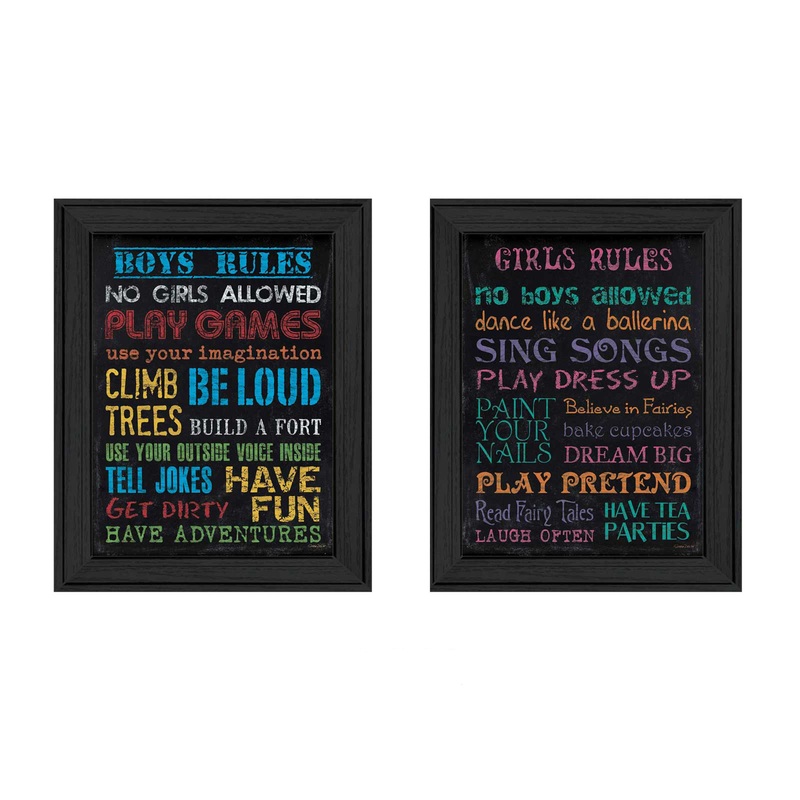 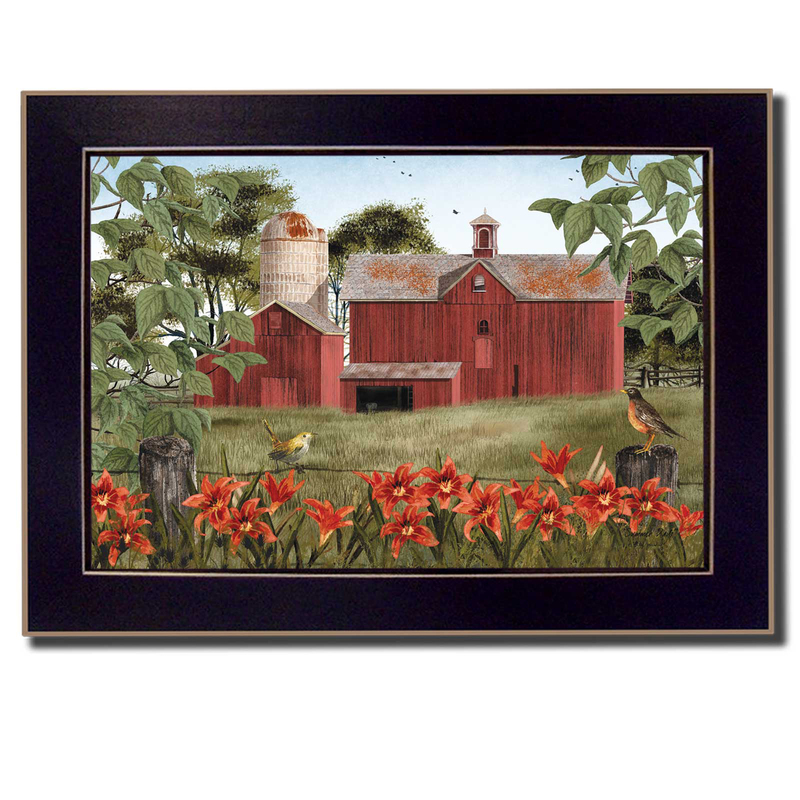 This totally American Made wall décor item features an decorative black frame The print has a protective, archival finish (glass is not needed) and arrives ready to hang.